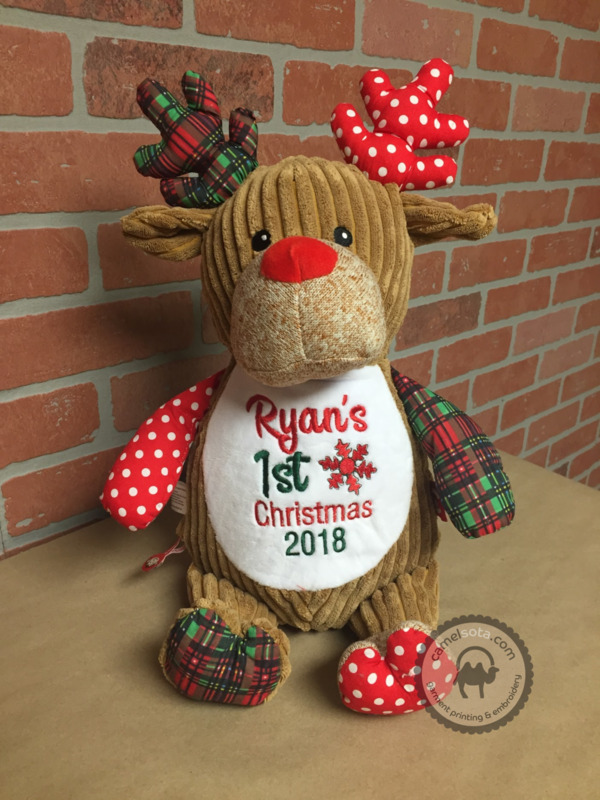 Beautifully embroidered premium stuffed deer cubbie. Lovingly hand-crafted and personalized JUST FOR YOU with any text embroidery. Machine Washable. 15 inches tall sitting.